God’s Word has plenty to say about your finances. This CD series examines the biblical principles of money. You will focus on nine key financial principles, and learn how to put these principles into practice. You will also learn about the value of budgeting and retirement planning, the wisdom of preparing wills and living trusts, the danger of debt, and the variety of life insurance options.Your instructor, Jim Rickard, will provide you with scriptural guidelines that will enable you to use wisely the resources God has given you. You will find this series personal, informative and relevant. Take advantage of this guide to true financial freedom. 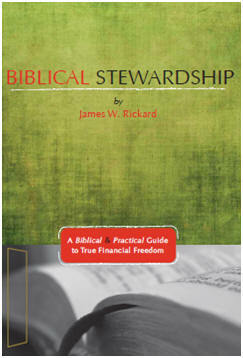 Jim Rickard is the director of The Stewardship Services Foundation, which he began in 1978 in Richland, Washington. Since then he has spoken in hundreds of churches and seminars on such subjects as income tax, church finance, family finance, and estate planning. He also serves as the chairman of the board of The Master’s College and Seminary. Jim and his wife, Joan have two married children and eight grandchildren.